If you thought the iPad was a little big, welcome to the iPad Mini which is just as impressive as its older and bigger sibling but measures in at just 200mm (length) by 134.7mm (width) and 7.2mm (height). It small, light and boasts all the powerful features of the iPad. It's also really darn cool as well! However with a cost of around $369 for the basic model, you definitely need to spend a little extra in order to get some protection and versatility for your iPad Mini. This is where the Cygnett Enigma comes into play which is available in three awesome colours that include Blue, Pink and Black! Apart from giving your your iPad Mini protection from minor bumps and knocks, the Enigma is actually a flex-folding folio case which means you can use it like a book (e.g. it opens up like a book) or you can use it as a stand to watch movies or type. The outside of the product has this unique rubbery feel to it that definitely gives additional grip to the user. 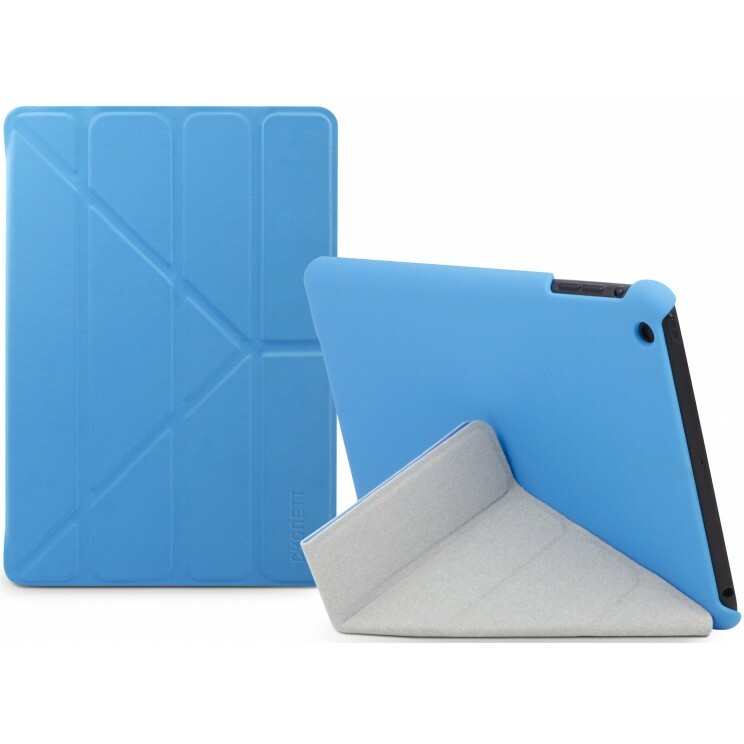 Installation is also a breeze and your iPad mini simply snaps into the case and the interior of the case is microfibre which means it won't scratch your precious Apple product. Once you have snapped all four sides of iPad Mini into the Enigma, it's quite secure which means it won't slip out. 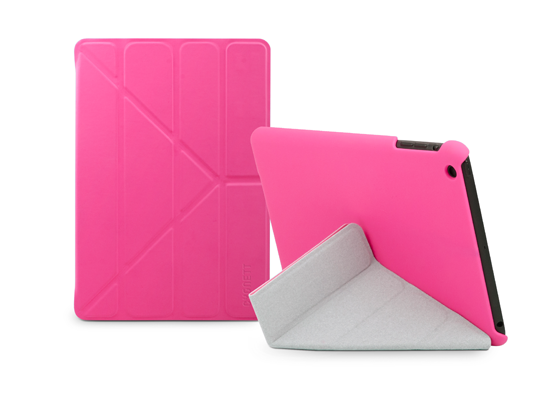 The case supports two types of views, landscape and portrait and due to the rubberized nature of the lid, you can display your iPad Mini in a variety of ways. Initially I thought that the cover looked a little cheap as you can see the folds in it but after using it for a few weeks now, it's quite versatile. Another innovative product from Australia's very own Cygnett.